Home maintenance is a huge responsibility that tenants and landlords have to worry about at some point in time. There are very few things on this earth that are meant to stay in pristine condition forever, and as such, maintenance plays a huge role in determining the longevity of any product, including locks. Some landlords install new locks on apartment doors and do not ever worry about replacing them until the lock is damaged to the point that a tenant is locked out of their home. The act of replacing door locks is one that should be undertaken every few years, but sometimes landlords and tenants are not sure what they need to look out for when it comes to replacing their locks. This is not a big problem at all, we are always here to help. 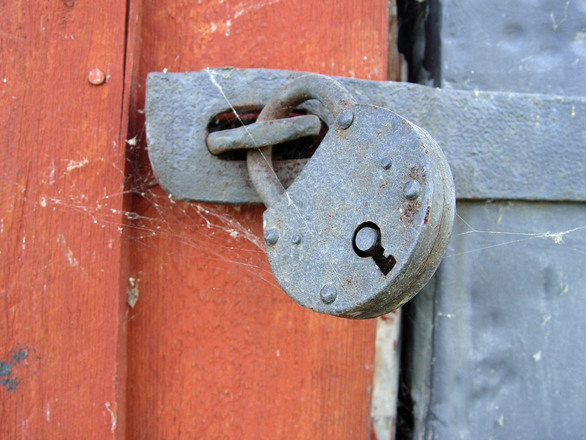 Let’s take a look at some of the signs that it might be time for you to replace your locks. If you and your apartment unit have been recent victims of break-ins and burglaries, then it might be a good time to replace the locks that you have on the doors around your home. In some cases, burglars end up damaging the locks to your home as they attempt to force their way in. In other cases, they simply show you that the locking mechanism you had in place is barely keeping you safe. This is one of the clearest signs for tenants and landlords that it might be time to replace your door locks. Door locks play a huge role in your home security and decisions about them should never be taken lightly. Burglars tend to inflict a lot of blunt force trauma on locks, and this prevents them from being as effective as they once were. That is why it is imperative for tenants to talk to their landlords about damaged lock repair or replacement if they have been recent victims of a break-in or burglary. Landlords can also improve the locks to make them more resistant to burglars. This can be done by adding security pins to the lock, using longer screws to install the lock hardware, and also by utilizing deadbolts with a longer throw. Locks undergo a lot of stress over time, especially locks that are subject to heavy traffic day in and day out. Their constant use in conjunction with the effect that natural elements have on them leads deterioration over time. 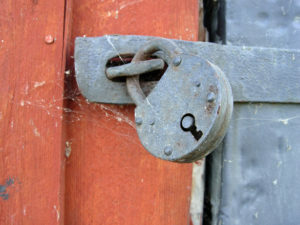 Old and worn locks tend to become rusty, and they start to stick, which makes the process of unlocking and opening a door a rather complicated one. Aside from the fact that it is a hassle to open doors, there is also the issue of your home security being put at risk. Locks that are old are much easier to pick and break, so it is advised that you replace your locks as soon as you notice this is happening to them. In some cases, this natural aging process can be slowed by regular maintenance. This might involve lubricating the locks and handling them with more care. Properly maintaining your locks over time will decrease the chance of breaking a key in a lock. In some cases, the indication that you need to replace your door locks does not come from the lock itself, or from within your home. There are times where the state of security in your neighborhood might change. Perhaps your community used to be one of the safest in the country, but if you or your neighbors are falling victim to a string of recent break-ins and other related crimes, it is a good indication that you should probably replace your locks. The locks on your door are meant to restrict the amount of access that people have to your home. If your neighborhood is becoming unruly, it is important to make sure that your locks are up to the task of keeping your tenants and your property safe, and if they are not, then you should replace them. In the event that your keys are lost or stolen, it is crucial that you replace the locks on your door. Misplaced or stolen keys automatically decrease the effectiveness of your home security, because your key control over your apartment unit or property has been reduced. There are some landlords who will make the assumption that no one will come back and attempt to use the key to gain access to your property, but it is always better to be safe than to be sorry. Replacing the lock on the door will negate the possibility of anyone gaining easy access to your home or property, and it will help you boost your home security in the process. When you lose your keys, or if you suspect they are stolen, you should never dismiss it as a minor issue, because it is not. It is advised that you contact a trusted locksmith and have them replace your locks as soon as possible. This might seem like a really obvious point to most, but it will surprise you that there are landlords and property managers who do not change their locks for years. In some situations, it is easy to understand why. The lock has not failed you all this time and it continues to work fine, so why would you waste your time and money trying to replace a lock that has not let you down? I admire this way of thinking, but it is impractical. Technology moves fast, and there are always changes looming on the horizon. If you have not changed your locks in a very long time, it is a clear sign that you need to replace them, no matter how good it might seem to you. Make sure that your locks are able to withstand every modern method that a burglar can throw at them, so that they are keeping your property and your tenants safe. There is never any downside to replacing the locks on your door, unless you replace them with locks that are worse (but why would you do that?). The locks on your doors are an integral part of your home security, and better security helps your property stand out from others. There are many other reasons that might prompt you to change your locks, however, these are the 5 most prominent ones that most homeowners deal with on a regular basis. Hopefully, this list will help homeowners make the right choices when it comes to their locks and also helps you stay vigilant when it comes to the state of your home security.